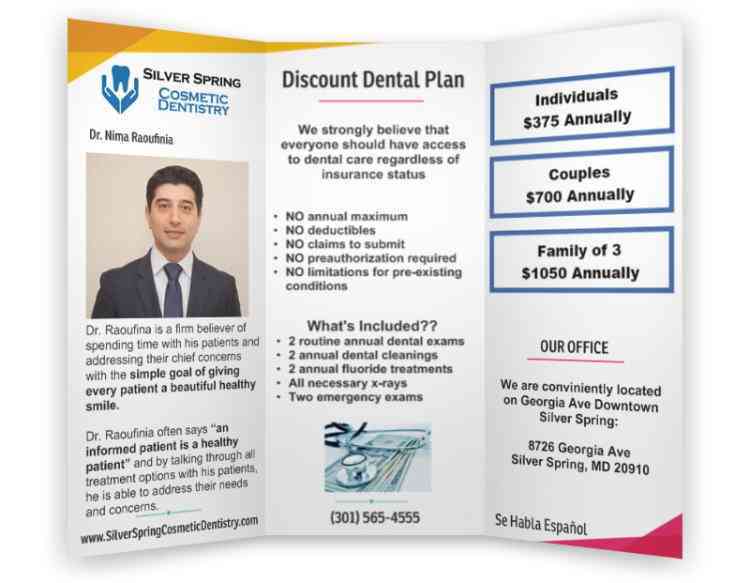 In our Silver Spring Maryland dental office, we provide an affordable approach to your dental care if you do not have a traditional dental insurance. 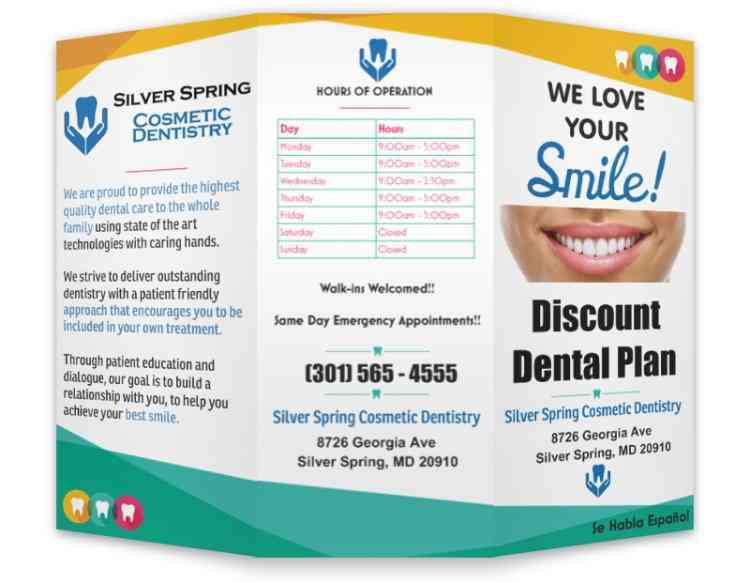 Your top rated Silver Spring Maryland dentist strongly believes that everyone should have access to dental care regardless of insurance status. We typically see individuals that report to us that they have neglected their dental care due to lack of dental insurance. We asked ourselves, how can we bridge the gap? We have developed an in house dental discount plan to help those without dental insurance receive the care they need. Dr. Raoufinia offers a number of different payment options & will work with you to find an option that will fit your budget. 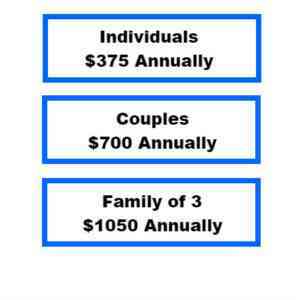 Our in-house Dental Savings Plan is not an insurance plan. It is designed to provide you and your family with the dental care you need at the most affordable prices. Is for use in treatments offered by Dr. Nima Raoufinia DDS in the Silver Spring Maryland location. *THE FEES OUTLINED IN THE DENTAL SAVINGS PLAN OPTION OR OTHER ESTABLISHED FEES BY NIMA RAOUFINIA DDS LLC ARE NON-REFUNDABLE. *NIMA RAOUFINIA DDS LLC RESERVES THE RIGHT TO REFUSE TREATMENT AND/OR TERMINATE THE PATIENT’S PARTICIPATION IN THIS PLAN WITH 30 DAYS WRITTEN NOTICE IF THE PATIENT’S ACCOUNT BECOMES DELINQUENT OR PATIENT IS NON-COMPLIANT. *ALSO, DISCOUNTS APPLY ONLY TO SERVICES RENDERED BY NIMA RAOUFINIA DDS LLC AND DOES NOT INCLUDE TREATMENT OR SERVICES PROVIDED ELSEWHERE EVEN IF YOU ARE REFERRED TO A SPECIALIST.